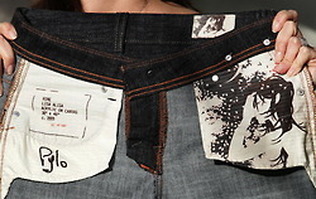 Source Industries was a new division of a major supplier to many global apparel brands. They lacked product development and marketing capabilities to develop a brand which would compete in the growing premium denim, knits and wovens categories. A fast track program was necessary to start up quickly and support product introduction. The program needed to include best practice thinking in fashion design, sourcing, product management, marketing and public relations. A product development and marketing office was set up in San Francisco. A team of product designers were recruited, with over 40 combined years of fashion experience. Trend research was conducted, leading to product concepts for a first season with 25 product SKUs over 5 fits, including denim and non-denim bottoms, non-denim jackets and tops. Brand planning commenced simultaneous to product development. Given the fierce competition of premium apparel, it was necessary to develop a blockbuster product concept beyond great fit. The solution was to apply art from emerging artists directly onto the garments, using new methods of application that could withstand the abrasive processes of finishing denim. 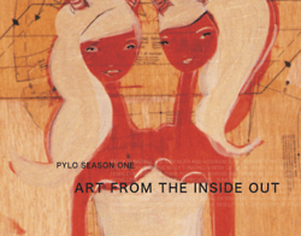 Naming research resulted in the brand name Pylo, which was derived from the Dutch word for “canvas” and “denim”, implying the line’s infusion of art onto the garments. Brand positioning was initially communicated through the tagline “Art from the inside out”, and followed through into the new brand identity, public relations, point-of-sale materials and outreach to the retail sales channels. The initial feedback on the line was extremely positive from showrooms and retailers, and the product line continues to cater to key image-makers in the worlds of fashion and entertainment.